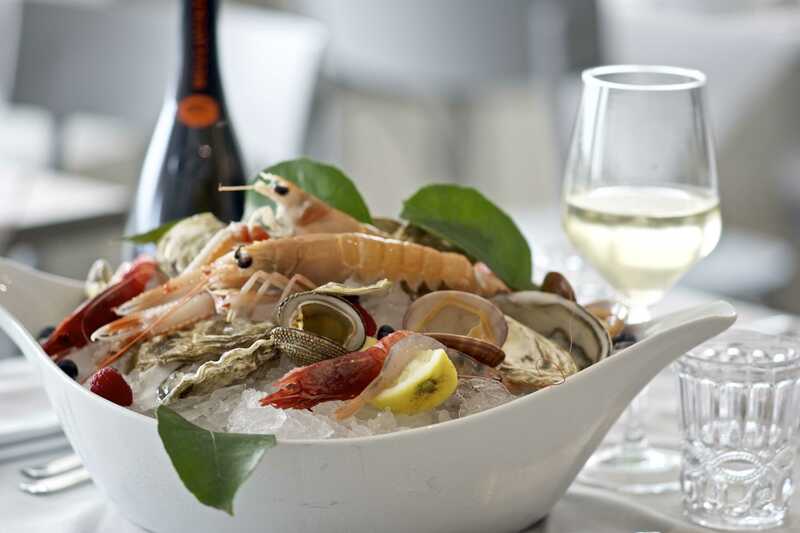 Home-made tagliolini with white shrimps and zucchini flowers, steamed fish with red shrimps, raw fish, mussels or a mix of grilled seafood are designed to convey the taste of the sea; so do several dishes, which change on daily basis. 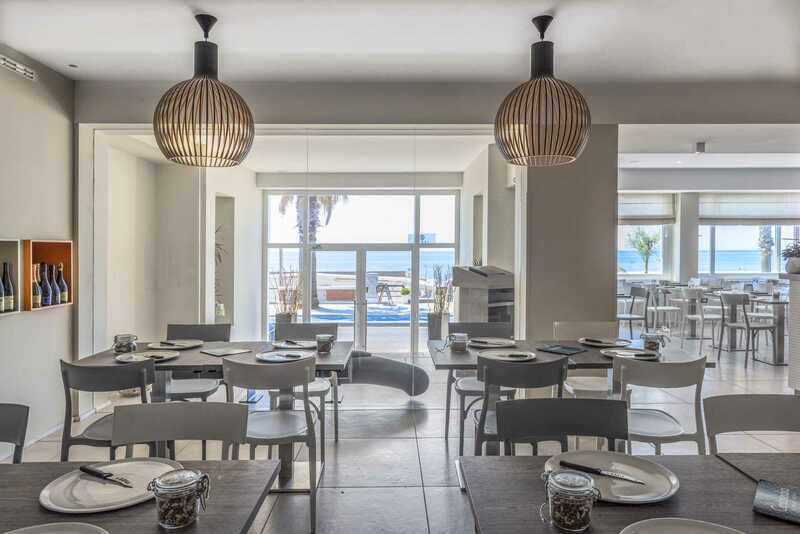 All “Centosedici” dishes are born through the encounter between soil and sea, be it vegetables from Agro Pontino or fresh seafood from Terracina. Although, “Centosedici” is not only seafood – a mix of local cheese and meats, filet mignon, steaks or a Florentine T-Bone steak are just some of the dishes meat lovers can find for themselves here. Moreover, during winter time, special degustation evenings are often held, where meat of wild animals is matched with local products and wines. 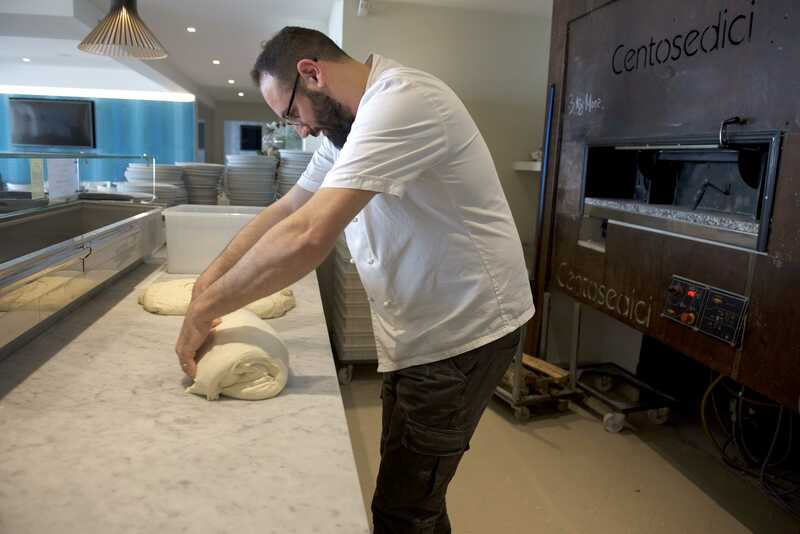 Our pizzeria is based on three pillars – quality, tradition and local products. 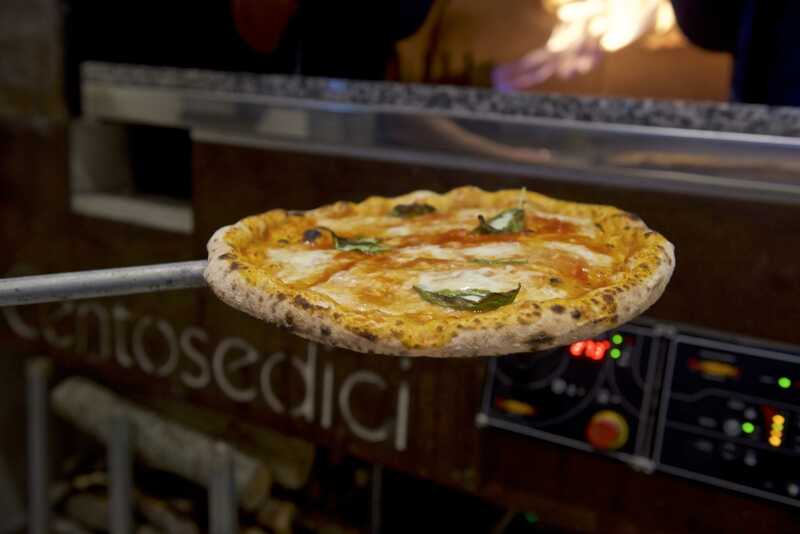 Exactly between Rome and Naples, our pizzaioli unify the two cultures through crunchy borders and soft central part of all our pizzas, as well as the minimum of 48 hours of natural levitation and 100% Italian grane. 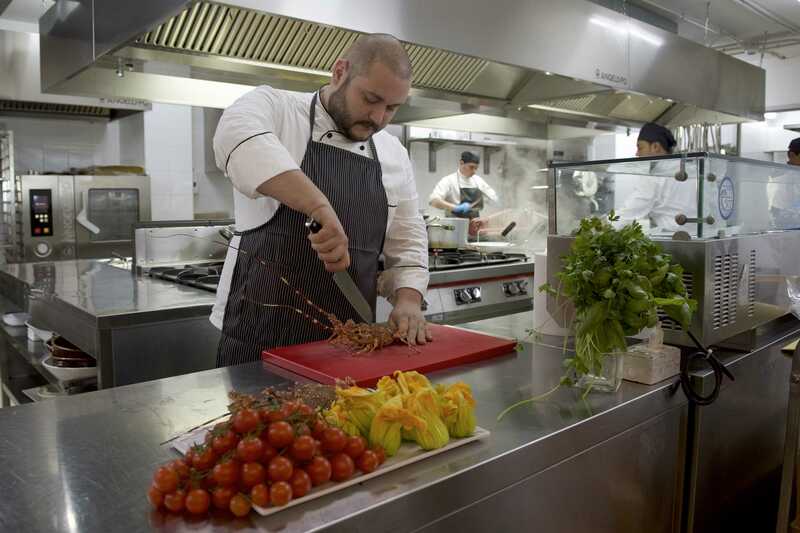 Speaking about the fillings, anyone will find something for themselves – octopus with pecorino cheese, seafood and mussels, bresaola are just some of gourmet options one can opt for, as well as Italian classics, such as Margherita, Capricciosa or Marinara. P.S. It is always possible, upon request, to make our dishes gluten-free, vegan or vegetarian. Gift cards and vouchers are available. A reserved hall with refined design and a fireplace is situated in the heart of the restaurant; it makes a perfect place for a romantic evening, private celebration or a job reunion, creating calm and emotional atmosphere. 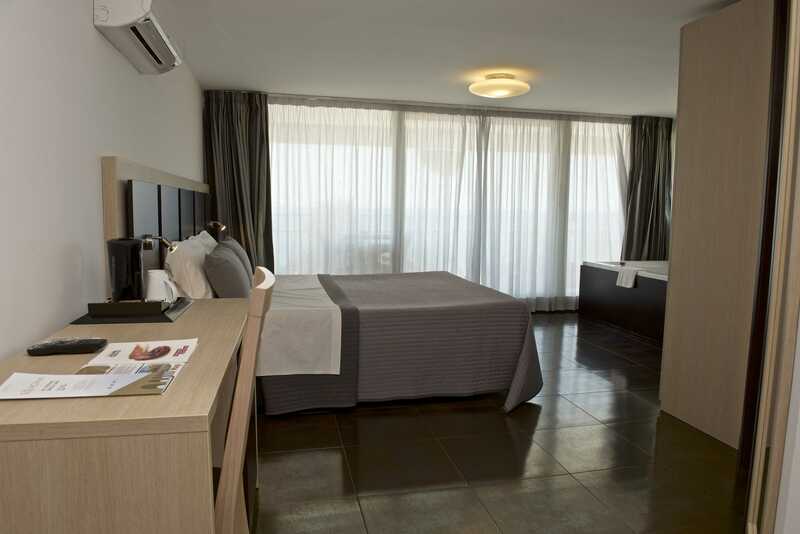 “Centosedici”, recently renovated, is mainly a spacious room with wide windows, facing the sea. It offers an unique possibility to celebrate an important day in your life with the seaview and sea spirit literally inside your plate.